When M.G. Siegler started using Gmail's task feature to convert his emails into a to-do list, he made a shocking discovery. As many as 50 to 75 percent of the emails he received were actually to-dos from other people. Taken individually, each request was reasonable. But, in aggregate, "this is a nightmare," wrote the general partner at GV, formerly known as Google Ventures. "There's no way anyone could manage such a system without spending the vast majority of their day doing email." - Employees spend up to 40 percent of their time reading internal emails. - One in five knowledge workers cite email as their biggest time sink. 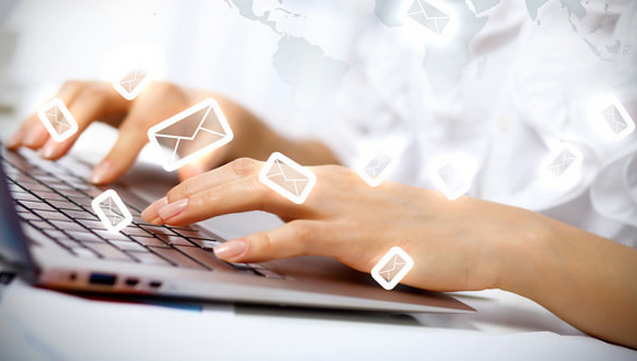 - As much as 80 percent of email traffic is "waste." - Unnecessary emails cost businesses an estimated $650 billion a year in productivity. As research increasingly demonstrates how email overload takes too much energy, erodes concentration and elevates stress levels at work, the writing on the wall is clear: companies that want to reclaim lost productivity need to reduce the email load, stat. That means removing everything from the inbox that doesn't need to be there -- starting with the to-do list. Using email as a task manager is like using a screwdriver to pound a nail. It can work, sort of, but it's the wrong tool for the job. Although inextricably linked, communication and task management are two separate things, argues researcher and author Alexandra Samuel. Mashing them together only makes both more cumbersome. "If you're conflating email and task management, then the job of communicating -- reading and replying to your messages -- gets bogged down by all the emails you leave sitting in your inbox simply so you won't forget to address them," she wrote in Harvard Business Review. "This approach also makes managing your to-do-list problematic: When you need to quickly identify the right task to take on next, nothing slows you down like diving into your inbox to scroll through old messages." Tracking tasks through email also requires you to keep your email program running all day, opening the door for distractions. Employees already check their email as often as 36 times an hour. After each interruption, it takes an average of 23 minutes to get back to their original task. All of this back-and-forth switching ultimately hampers productivity by up to 40 percent. "Emails, after all, are disruptive," says New York magazine writer Jennifer Senior. "It takes startup energy to read them; it takes energy to reorient and reboot once we're returned to the task we've left. Over the course of a week, the price can be measured in hours." Separating email from task management can materially affect staff performance. While email overload depletes the energy of employees, actually completing tasks energizes them -- case in point, we all know those people who actually add things to a to-do list just to be able to cross them off! Getting things done makes people happier and more engaged at work, and employees perform better when they're able to focus on the work they believe matters most. An effective task management tool works in concert with communication tools like email and messengers to help employees waste less time answering emails and spend more time doing meaningful work. And the next generation of productivity tools will need to go a step further -- they'll need to enable employees to manage all of their daily tasks in a single place without having to toggle between email and other tools. In addition, these tools will need to allow workers to complete tasks wherever they are working -- on any device, company intranet or messenger. This not only provides them with a simple work experience, but also gives them the freedom to shut out email distractions whenever they need to plow through their to-do list. Effective task management is all about efficiency. Given email's burgeoning reputation as a massive time sink, it's obvious that this burdensome communication tool isn't the best solution. Taking to-do lists out of email and putting them where employees are working on a task helps minimize distractions, reduce the amount of time employees spend in their inboxes, and ultimately, improve productivity.